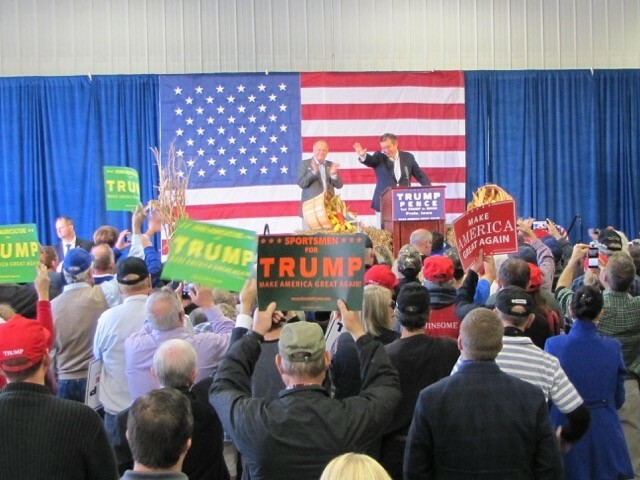 DES MOINES, Iowa — Senator Ted Cruz campaigned for the Trump-Pence ticket at an Iowa farm rally on Thursday alongside Republican vice presidential nominee Gov. Mike Pence, Sen. Chuck Grassley, and Rep. Steve King. 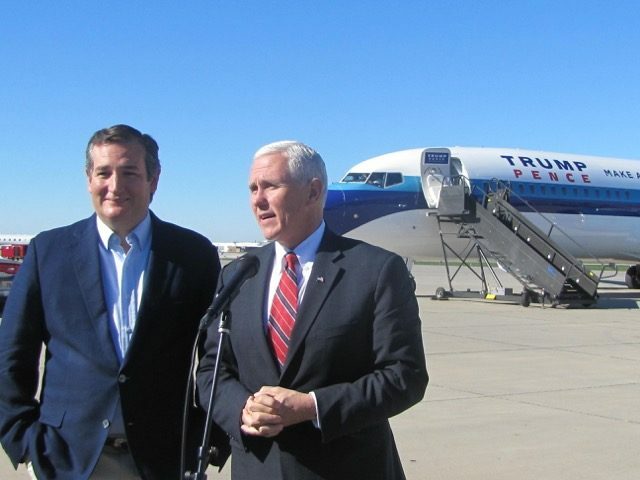 Pence and Cruz held a small press conference before boarding the campaign plane for a rally in Portage, Michigan. 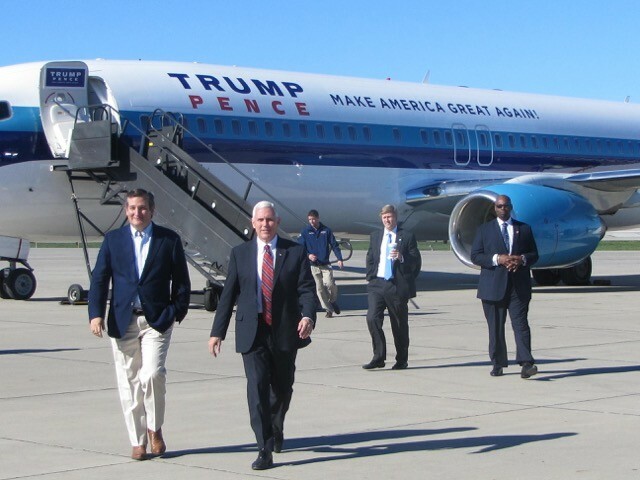 I’m here campaigning for Donald Trump, for Mike Pence. I recognize some of you guys are wanting to write stories suggesting divisions among Republicans. I’ll make a point, I’m getting ready to get on a gigantic airplane that has Donald Trump’s name painted on the side of it. On Monday of this week I voted for Donald Trump. I voted for Mike Pence and I’ll tell you, we’re just a few days away from election day and I’m doing everything I can to defeat Hillary Clinton. Hillary Clinton would be an absolute disaster as president. I’m doing everything I can to keep a Republican majority in the Senate. As Mike pointed out I think there are many issues front and center in this election, but none is more important than the U.S. Supreme Court. Pence endorsed Cruz in the Republican presidential primary, just before the Indiana primary election. Cruz was the closest competitor to Trump in the race for the Republican presidential nomination. Pence was later chosen as Trump’s running mate. Cruz spoke at the Republican National Convention where Trump and Pence officially accepted their party’s nomination. He did not endorse Trump at the time, but later, after Trump expanded his list of potential nominees to the U.S. Supreme Court — which included Cruz friend Sen. Mike Lee — Cruz endorsed Trump.